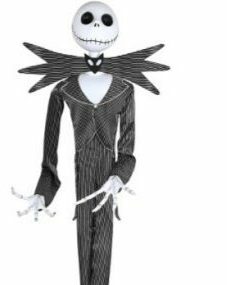 Typically Spirit Halloween doesn’t announce their new Halloween props until the late summer. Earlier this week Spirit tipped their cards a little and confirmed that Menacing Molly will be back for 2018. Molly was a new prop that was introduced in 2017. She was fairly popular and obviously there was enough demand to bring her back this year. Spirit Halloween doesn’t always bring back the same props each year. Sometimes they will retire them after one year or stop for a few years and bring them back when there is a demand. Menacing Molly wasn’t my favorite prop from Spirit from last year but she is pretty cool and is one I would consider using if I had an outdoor haunt. Here’s the video Spirit Halloween put out last year introducing Molly to everyone. Menacing Molly has four different sayings to scare you friends at your Halloween party this year. 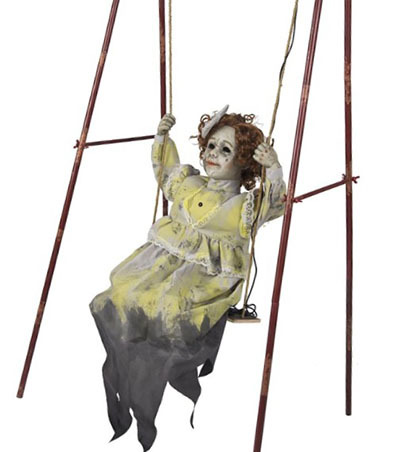 Last year Menacing Molly retailed for $179.99 at Spirit Halloween. This year she’s gone up in price and sells for $189.99. I also noticed that they are touting that she is from the Tate Steinsiek collection, which is apparently new for 2018. Maybe having a designer from the special effects world justifies raising the price by ten bucks, I don’t know. I also noticed that Molly is listed as an oversized item and she will cost more to shop than a regular size Halloween prop from Spirit. Standard shipping is $4.99 but oversized items will cost and additional $20. Molly is available for pre-order through SpiritHalloween.com. Like most new props Molly isn’t available just yet and will ship sometime around July 1.